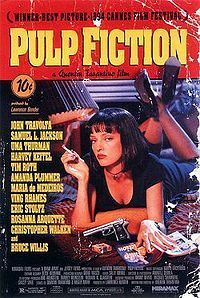 Pulp Fiction is a 1994 crime film directed by Quentin Tarantino, who cowrote its screenplay with Roger Avary. The film is known for its rich, eclectic dialogue, ironic mix of humor and violence, nonlinear storyline, and host of cinematic allusions and pop culture references. The film was nominated for seven Oscars, including Best Picture; Tarantino and Avary won for Best Original Screenplay. 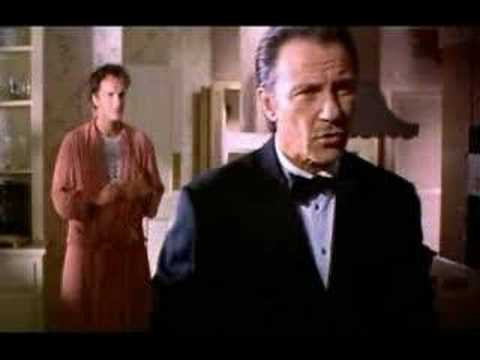 It was also awarded the Palme d'Or at the 1994 Cannes Film Festival. A major critical and commercial success, it revitalized the career of its leading man, John Travolta, who received an Academy Award nomination, as did costars Samuel L. Jackson and Uma Thurman.